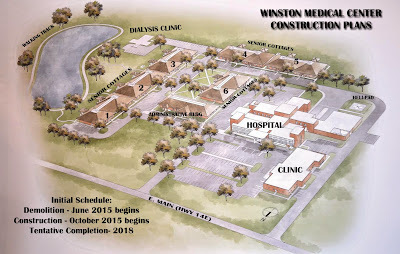 A drawing of the proposed Winston Medical Center Construction and plan has been available for a period of time. This is the latest available and includes readable labels for the buildings and layout. Plans have been formalized to reconstruct in the same general location on East Main Street in Louisville. Plans and schedules are always subject to change but current expectations include - demolition of the old hospital to begin next month (June) and construction to begin in October of this year. The projected completion date is 2018. 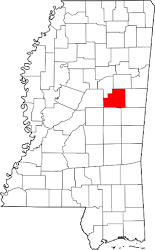 WMC has transitioned from a temporary facility to a full service transitional hospital located on South Church Avenue. This facility will serve the community until construction is completed.